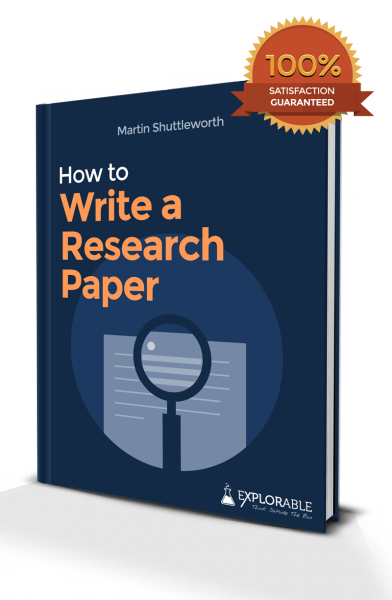 One of the major parts of developing any research paper is defining the research paper question. In an experiment-based project, this question naturally leads onto a hypothesis. For a more review-based paper, such as an essay, it will lead to a thesis statement. What are the most important research questions in my discipline, and are there any particular areas that are ripe for further exploration? Will my research lead to a greater understanding, and fill a gap in current knowledge? Has my literature review turned up a wealth of relevant information in this area? Am I replicating a previous study? If I am, in what ways am I improving and refining the research? Is this research at the cutting edge of science or is it in an area that is fading out of relevance? Is my research question going to have a meaningful impact on the field? Obviously, for a short-term research project, you do not have to answer yes to all of these questions or be as rigorous. For a dissertation or thesis, these are just some of the possible questions, and for research scientists submitting a proposal, affirmative answers to all these questions are the bare minimum for receiving a research grant. A general research question will usually be based around 'why' or 'how' a certain phenomenon is happening. This statement is based around a review of the literature, which shows that the Amazon rainforest surface area is shrinking rapidly. You can use this fact as a starting point and a basic assumption upon which to build your research project. Whilst many researchers have postulated reasons for this, there is no clear consensus about what factor, or combination of factors, is contributing to the environmental and ecological damage. Now you need to narrow down the broad question, ideally moving towards a hypothesis or thesis question. Once you have a good research paper question, you can then begin to generate a testable hypothesis or research question, and construct your paper around this. At the end of the research, you will be able to refer your results and discussion back to the research paper question, adding a little more information to the store of human knowledge. Defining a Research Problem - What exactly should you investigate?